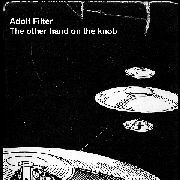 Adolf Filter is a synthesizer duo from Sweden who are addicted to nice moody melodies and steady beats. Their synth pop is influenced by cold wave sounds from the early 80’s and old style EBM rhythms. A combination which can only result in great electronic tracks for both the dancefloor as well as for home entertainment. On the compilation Festival der Genialen Dissidenten Adolf Filter was already present with the haunting track ‘Inner Walls’. There debut EP continues in that style, but a little more beat driven.